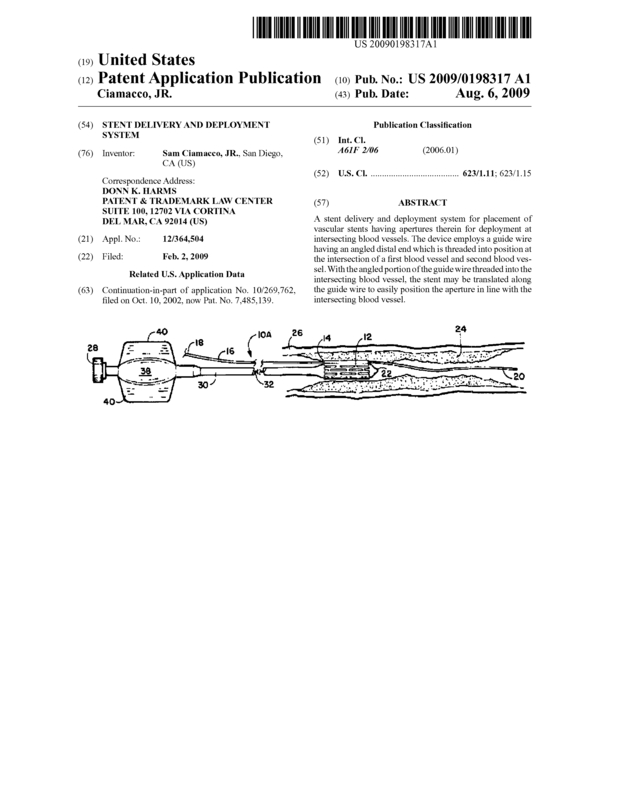 A stent delivery and deployment system for placement of vascular stents having apertures therein for deployment at intersecting blood vessels. The device employs a guide wire having an angled distal end which is threaded into position at the intersection of a first blood vessel and second blood vessel. With the angled portion of the guide wire threaded into the intersecting blood vessel, the stent may be translated along the guide wire to easily position the aperture in line with the intersecting blood vessel. Page created at 2019-04-25 0:07:39, Patent Auction Time.